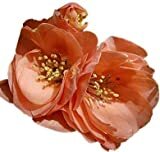 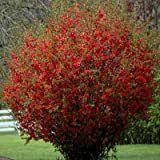 Flowering quince growing shrub of the genus Chaenomeles also known as Chinese quince, Flowering quince perennial deciduous plant mostly used as ornamental plant, grow in temperate and cold mediterranean or subtropical climate and growing in hardiness zone 5-9. 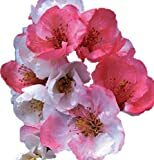 Flower color red, pink, white or orange with 5 petals to multipetal. 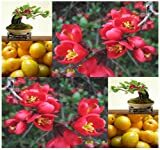 Fruit are strong in the structure and shape is round-elliptic, size can be 5-15 cm, color of the fruit can be green, yellow or slightly orange. 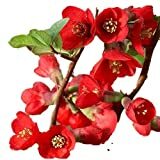 Is it necessary to graft in Flowering quince? 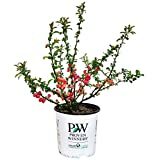 What can be done with big quantities of Flowering quince fruits?